“What time do you call this?” I hear you cry. I know I know, I’m a day late with the blog, but to be fair, I was toiling the land until late last night. I couldn’t help myself, the sun wouldn’t stop shining, the crops are fattening up and I didn’t want to face the fact that Monday morning was only hours away. Where does the weekend go? So let me make amends, my horticulture hobbits, as I share a few snaps of what’s going on at the plot at the moment. To many, the sight of swelling beans will make your mouths water, but right now I can guarantee Agent Soph has broken into a cold sweat. 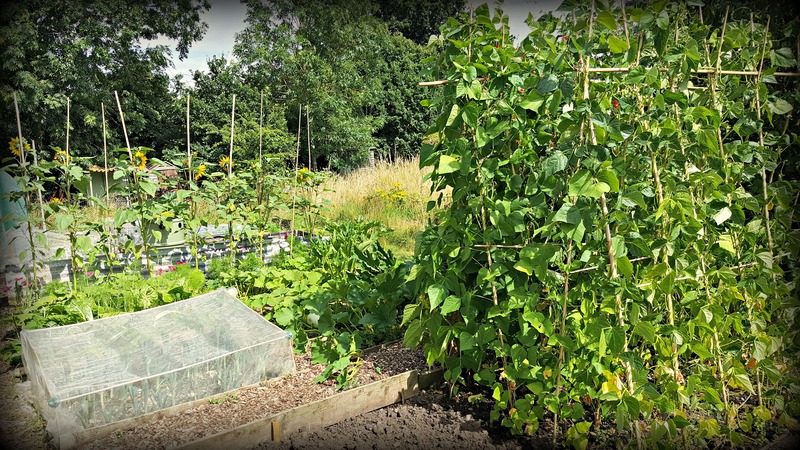 After last week’s ‘Blanch-Mageddon’ with the copious broccoli I brought home, the beans are queuing up to get in on the action. The pumpkins and squashes seem to be ahead of themselves this year, which is great to see. So to prevent them sitting in moisture and subsequently rotting, I tend to lift them onto bits of plank or bricks, and cut away any leaves that are blocking their sunshine. On another note, this year I’m gradually harvesting and drying onions. In previous years I’ve tended to harvest them all in one hit. This way they should last just a bit longer. 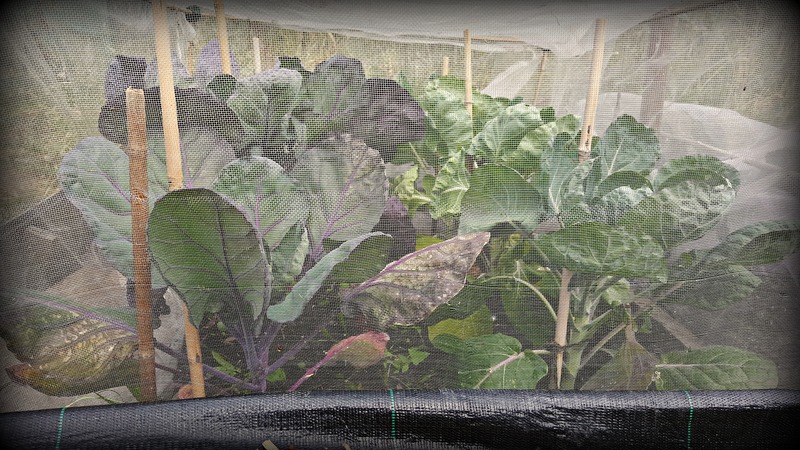 Meanwhile, in the polytunnel things are really hotting up. The tomatoes are swelling, and both the peppers and chillies are growing fast. We’ve already harvested and eaten several chillies, but although the aubergines are producing flowers there’s still no signs of their fruit. Next weekend, I’m hoping to plant my Christmas potatoes. I know, when we’re basking in this glorious weather, sometimes it’s hard to think about those dark winter months. But that’s what we gardeners do, enjoy being in the moment yet we always have one eye on the forthcoming season.